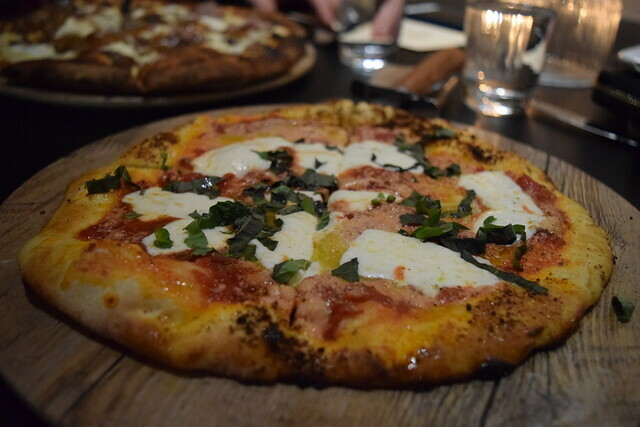 Pizza is a food group for me, so my heart practically exploded when I learned that Declaration, a new gourmet pizza bistro, was opening two blocks from my apartment. The latest addition to the PRG restaurant portfolio, Declaration is definitely the smallest of the three spaces. But like fellow presidential-themed restaurants, Lincoln and Teddy and the Bully Bar, the restaurant takes its name and nod to American politics seriously. In addition to a menu containing dishes named after the original 13 colonies, Declaration is decorated to honor its name: vintage light fixtures hang from the ceiling, a copy of the Declaration of Independence is painted on one wall, and another wall is filled with nickels. I headed to Declaration with my fiancè, Gavin, during opening weekend, so our expectations for great service weren’t high. 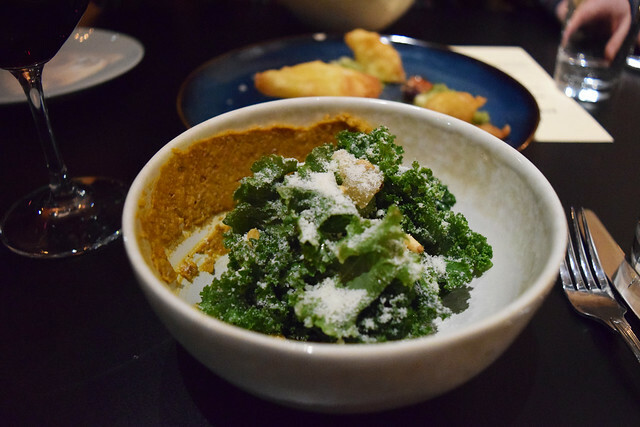 However, once we finally got a table; we couldn’t have been more pleasantly surprised! Our waiter was knowledgeable and attentive, but didn’t make us feel rushed— a great feat for a busy Friday night. 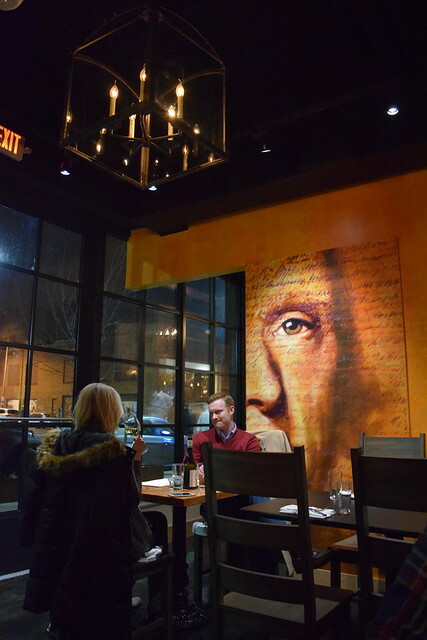 I love that the menu is inspired by the 13 original colonies—each signature pizza is named for the person who signed the Declaration of Independence from that particular state and features fresh, locally-sourced fare reminiscent of each region. And the prices reflect the year they were colonized! 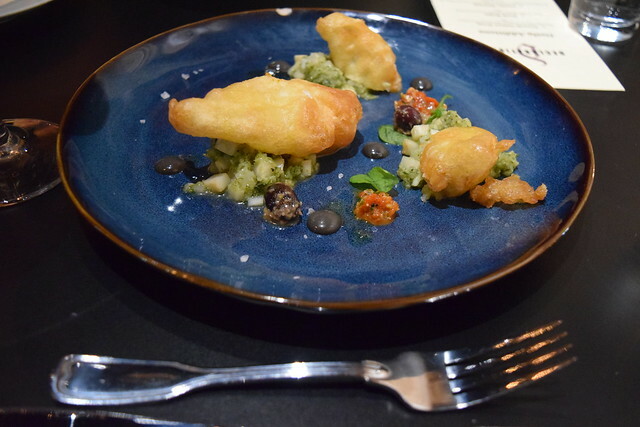 We started out with an interesting calamari dish. I’ve had a lot of calamari in my day, and I can honestly say I’ve never seen it presented like this, thankfully. It was quite skimpy—with only three pieces to share. Luckily, when the kale salad arrived, it was bountiful and split as we requested. Gav said it was the best he’s ever had. Although my kale-cred is way more validated than his, I had to agree that the salad was perfectly marinated in a delicious, light dressing. It was damn good. Despite the fact that I am very loyal to my home state of New Jersey, I wasn’t in the mood for pesto pizza that night. So, I decided to go with my second favorite state and “Declare My Own” pizza by ordering the Brooklyn pie. The sauce was perfectly sweet, but I would have liked the crust to be a bit more crispy. Then again, I’m used to New York thin crust pizza, which is so thin it’s like eating a cracker. 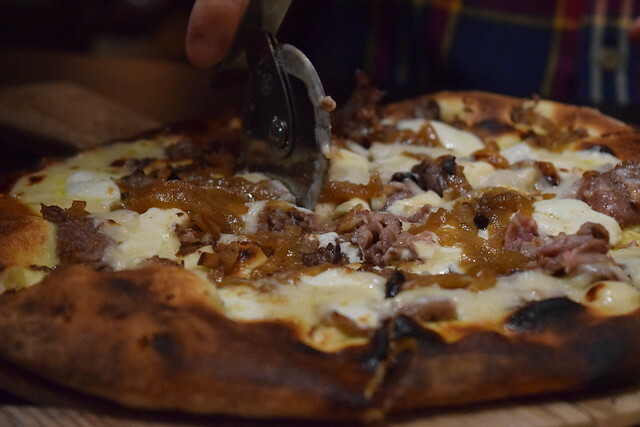 Gavin went with the Pennsylvania-themed pizza: the Benjamin Franklin, mainly because he wanted to taste what a cheese steak pizza was all about. It was heavy and, as you would expect, tasted like steak and onions doused in cheese. Even he couldn’t finish the whole pie. It’s worth noting that Declaration offers gluten-free pizza crusts, although we didn’t sample it this time around. 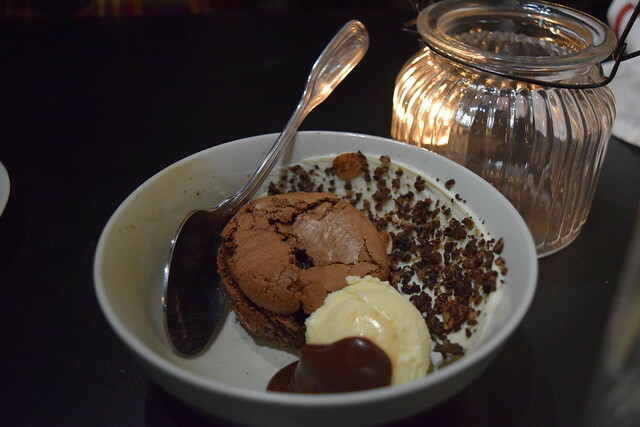 We did however, decide to go with the gluten-free fudge brownie, which was out of this world. And if it’s gluten-free it’s healthy, right? We welcome Declaration into our ‘hood with open arms and empty stomachs! We’re looking forward to heading back to the cozy space for cocktails and gourmet pizza, perhaps before catching a movie at Landmark’s Atlantic Plumbing across the street. We dangerously noted that Declaration also offers take-out and delivery.